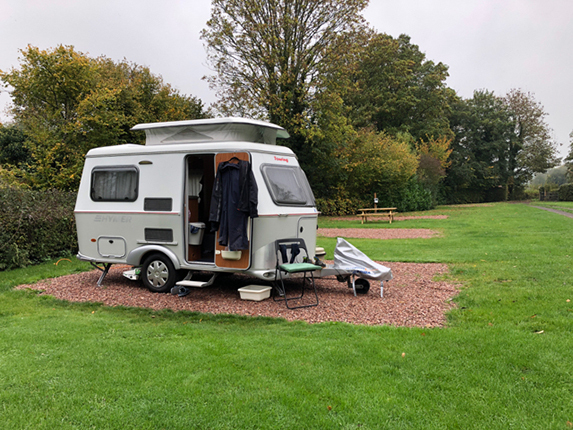 After doing a number of residencies over the past few years and having recently bought a caravan, it seemed like the time was right to curate my own residencies i.e. to spend time in an area of my choosing at a time that suited me; to immerse myself in this location and to think about making new work. My first trip in October 2018 took me to the village of Llanvetherine, 10 miles from Abergavenny on the edge of the Brecon Beacons in South Wales. To be in and re-connect with Wales. Llanvetherine is about 20 miles from Ystrad Mynach where I come from and the same distance from Newport where my family lived in the late 1960’s. Borders – I was keen to explore the border between Wales and England and photograph any visual evidence of there being such a divide. This was as much about me as the actual landscape, having come from Wales but spending most of my life in England. 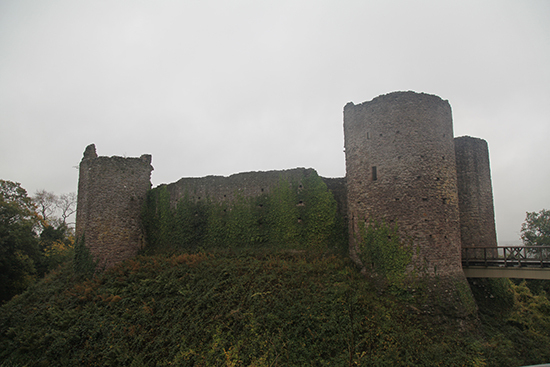 I did walk some of Offa’s Dyke and the Three Castles (White, Grosmont and Skenfrith) built by the Normans soon after the invasion of 1066. I discovered the border ran along parts of the River Monnow and photographed both sides. On my final morning, some perfect light.. The Mothership residency is based on an organic farm in Dorset. It provides the opportunity for contemporary artists working in any media seeking a secluded retreat and potential collaboration. 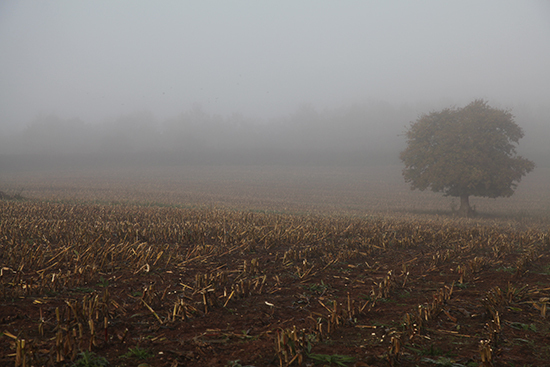 The residency explores the themes of climate/weather, rural/social/political issues, land/agriculture, and is run by artist Anna Best Mothership web. My ideas leading up to my Mothership residency were based around Daylight Saving Time and the ‘loss’ of an hour on October 30th. I had some pretty firm ideas of what I wanted to do. I was interested in what happened during this lost hour, and thinking about work that was time based rather than site-specific. Once at the Mothership my ideas evolved as I decided to follow a more relaxed approach, an approach that allowed an element of play. Although still immersed in the concept of time I decided to follow my instincts rather than a pre-determined path. Consequently the work evolved to become much more site-specific. In the end the three pieces of work I started and continued to make months afterwards are pretty dark, heavily centered on Autumn exploring the feeling of losing the light and maybe life itself. Pheasant dreams from David Morgan-Davies on Vimeo. Almost the first thing that happened when I arrived at the Mothership was finding a dead pheasant that Curly the dog had just killed. This was quite a shock and injected a dose of reality into an early conversation with my host Anna. This episode pushed my thoughts from autumn and darkness towards death! I collected some feathers and with a found object made a dream-catcher like pendulum that is the focus of the film loop. Every leaf speaks bliss to me. I transcribed the first three lines of the poem onto a stack of timber next to the Mothership allotment. The marking spray is not the easiest to use, and even though some of the letters are difficult to read I decided to just go with it and enjoy the process. Forest Floor from David Morgan-Davies on Vimeo. I brought some solar powered garden lights with me to the Mothership, thinking I might make a piece of work with them. I was interested in way solar uses energy from the previous daylight hours to illuminate the darkness today. The rope swings hanging from the giant oak tree opposite the studio grabbed my attention. Their pendulum like motion akin to workings of a grandfather clock. Although the use of solar lighting proved impractical I persevered with using a combination of torches and the rhythm’s rope swings created to illuminate the woodland floor. My work has always between as much about what you can’t see as much as you what you can see. Forest Floor plays with this idea, by revealing and then hiding the vegetation of the woodland floor, forcing your mind fill in the gaps. Lost in Transition from David Morgan-Davies on Vimeo. 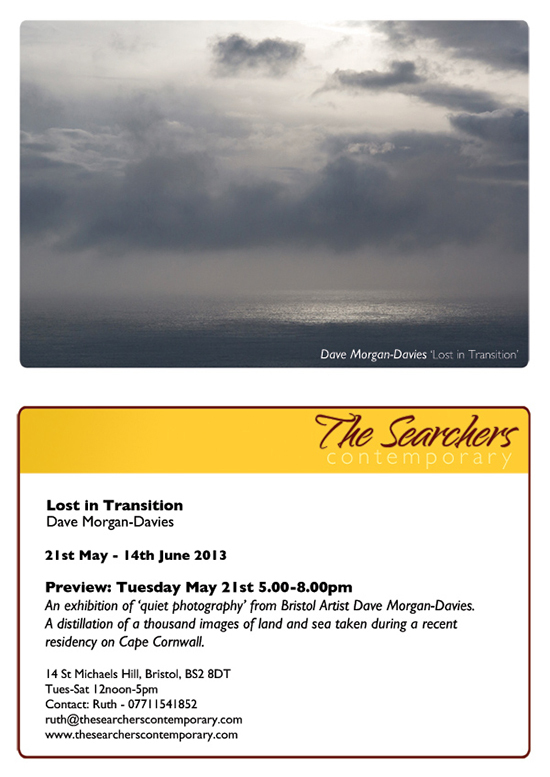 The solo exhibition ‘Lost in Transition’ at the Searchers Contemporary in Bristol represented a distillation of a thousand images of land and sea taken during a recent residency at Brisons Veor, Cape Cornwall. Through photography and film the exhibition explores the relationship between the land, sea and sky, specifically the transitions between those three elements. I’m just about to head off to the most westerly dwelling in the UK for a short residency. My work is really about being immersed in the landscape, this’ll certainly be the case at Cape Cornwall. The studio is right on the cliffs and the weather at the beginning of March quite raw. My working title is ‘lost in transition’, that’s the transition between the land and the sea and the sea and the sky. The plan is to photograph and film every day to create a body of work that will be the basis of a solo show in May. 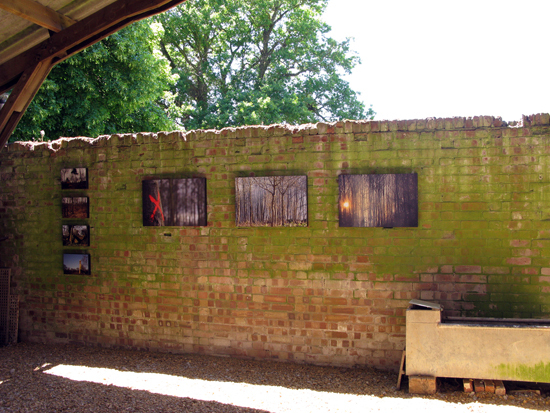 Following March’s Rural Idyll 2 residency the resulting exhibition takes place every weekend throughout June 2011 between 11-5 at: Little Dodnash Farm, Bergholt Rd, Bentley, Suffolk IP9 2DQ. A constant theme of my work is the human interaction with landscape. Whilst walking the woodlands that surround Little Dodnash Farm I became increasingly in awe of the trees, and fascinated by the process through which they are managed. 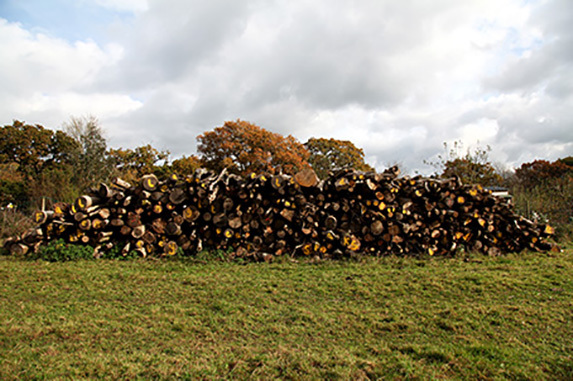 ‘Wood Workings’ documents the human relationship with the woodlands, and ultimately reflects on how; through domestic occupation and husbandry we leave a transitory mark on this environment. See Gallery – Wood Workings for images from the collection. Solitude, Panic, Pleasure, Hardwork and Comfort. ‘5 Words – shadows on a rural idyll’ uses these words as inspiration for a series of shadow based photo-ascetates constructed and photographed at the farm during the residency in March. 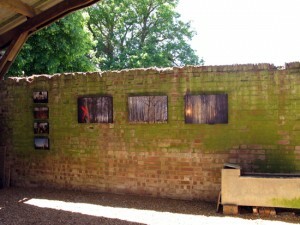 Through the use of Real-time graphical programming the photographs have subsequently been transformed into five animations (one for each word) and shown as a site-specific installation in the farms wood cutting yard. It should be noted that although the inspiration for the piece sprang from the owner’s feelings about living in a rural idyll, its creation and ultimate presentation are based on my own responses to spending time at Little Dodnash Farm. My main aim was to produce a piece that creates unity and provides equal weight to all five words, so giving us an insight into reality behind living in a Rural Idyll.